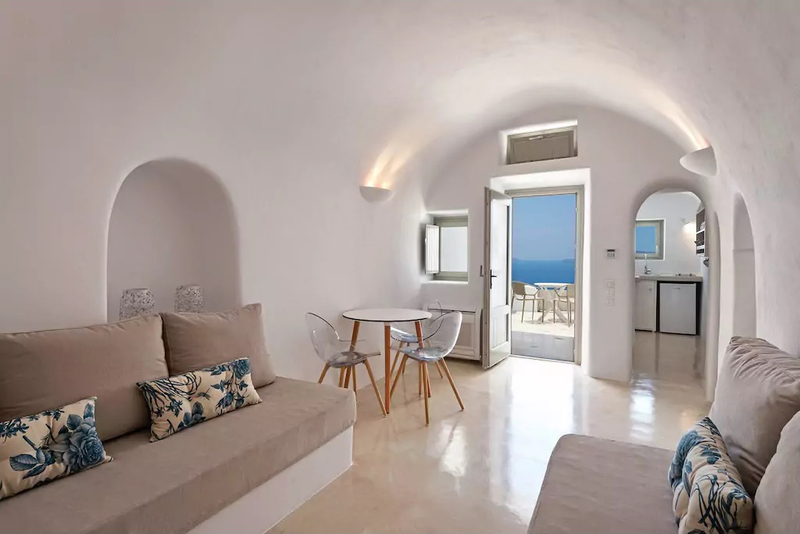 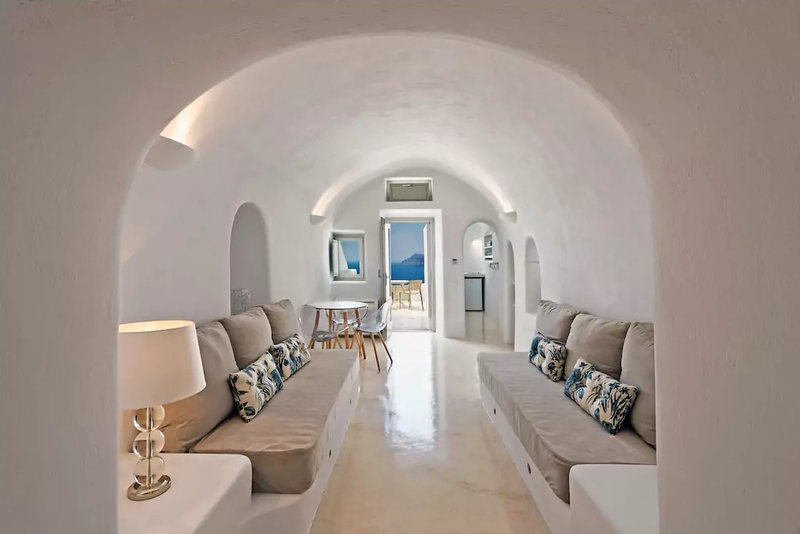 SeaCrest Villa, is a renovation of an old cave house focused in tourism accommodation. 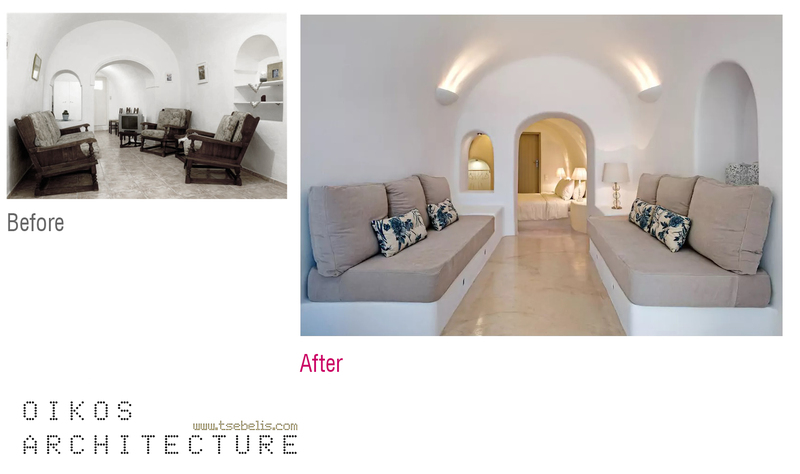 The main approach of the project is to resurface the vocabulary of the traditional architecture, into its functionality. 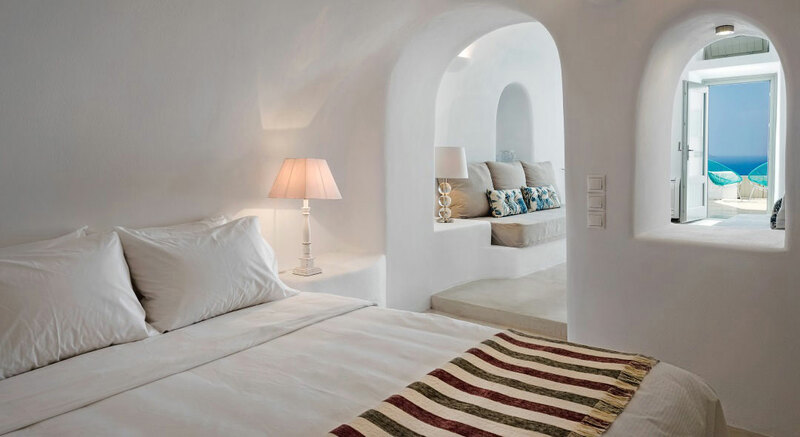 SeaCrest as a tourist villa, has to follow the modern standards of a tourist apartment. 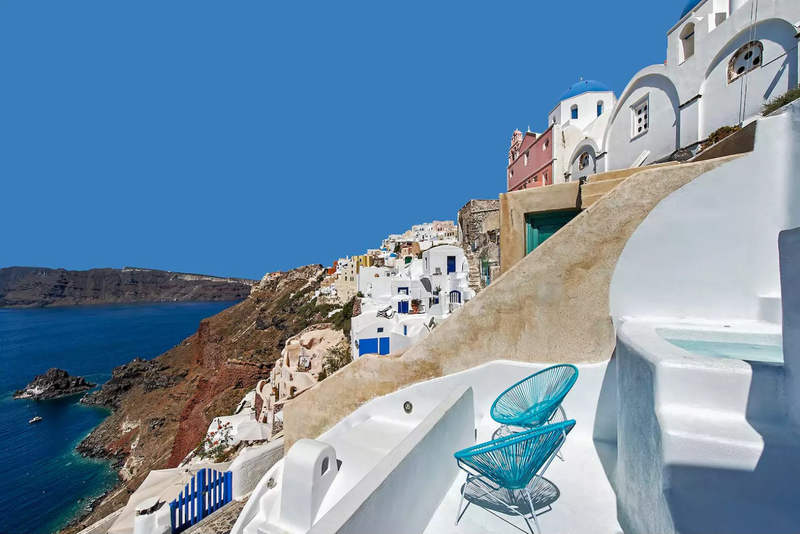 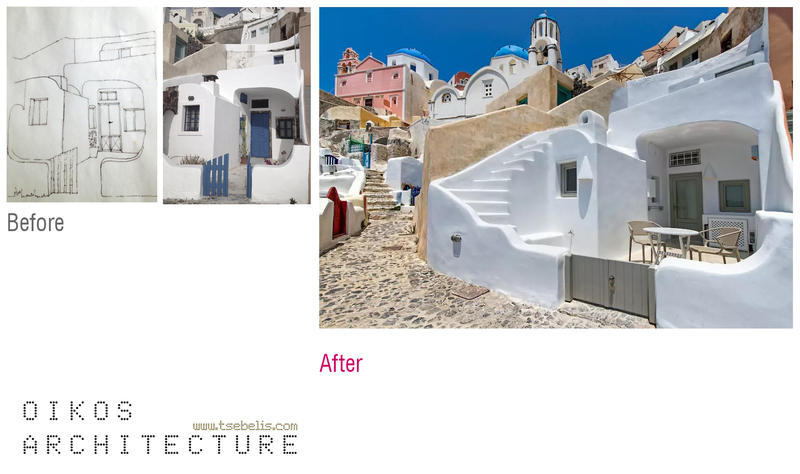 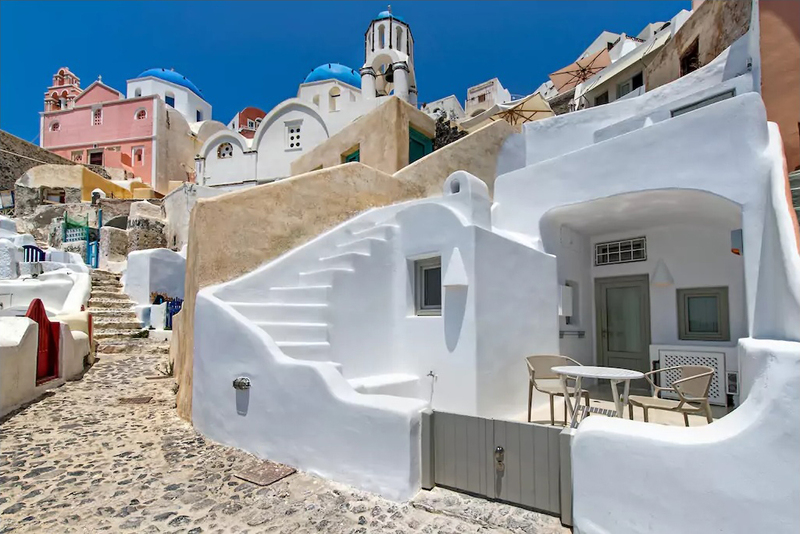 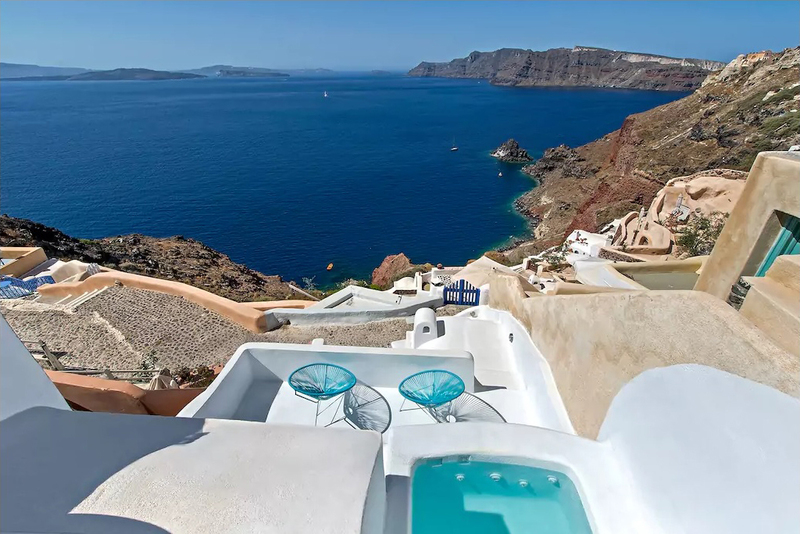 Additionally, placed in the most iconic village of Santorini, Oia, respects and exposes the Cycladic architecture. 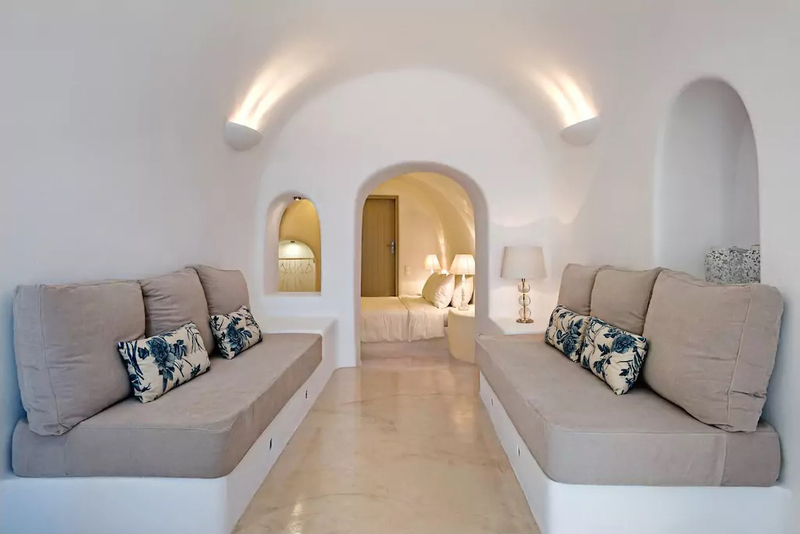 Its program has a living room with two traditional couches serving also as beds, next to this area is a tiny kitchen utilizing appointments from the previous century. 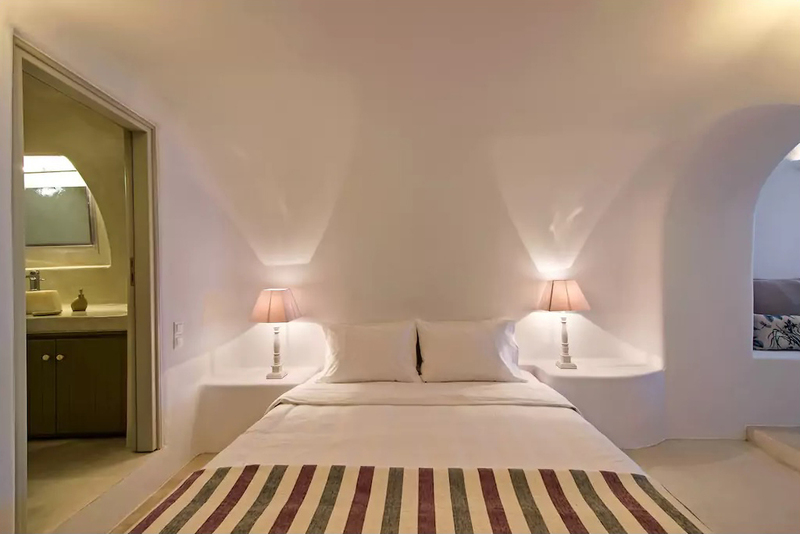 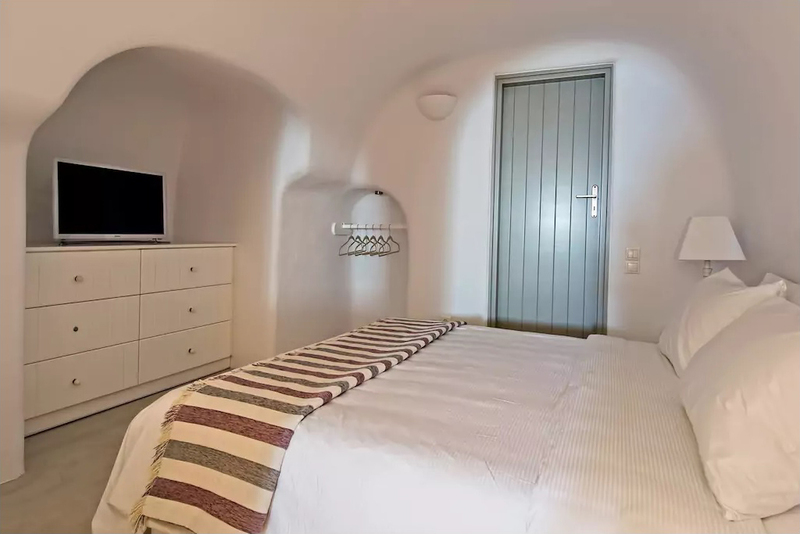 Next, into the cave is a bedroom with double size bed and the rest of its amenities carved into the cave walls. 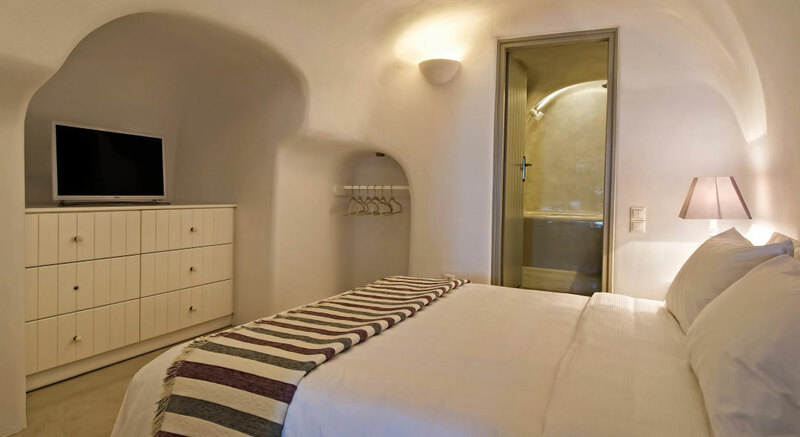 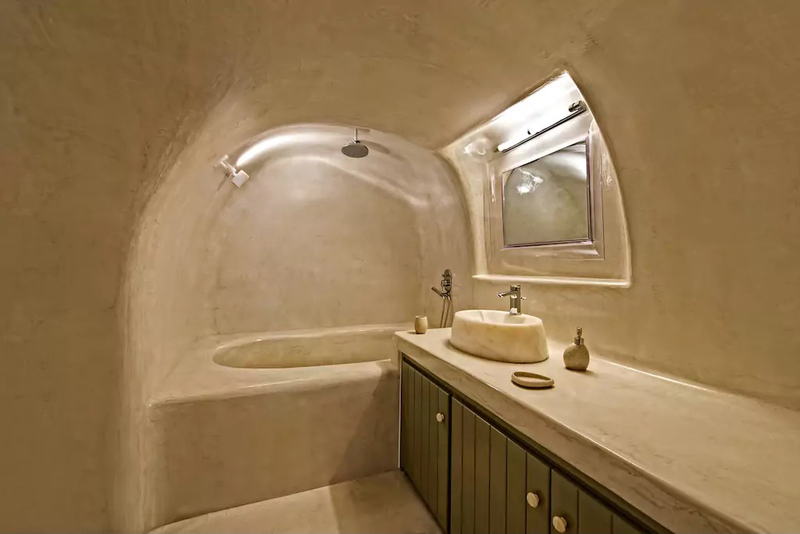 At the end of the canava is the bath room imitating a natural grotto, while modern equipment serves its needs. 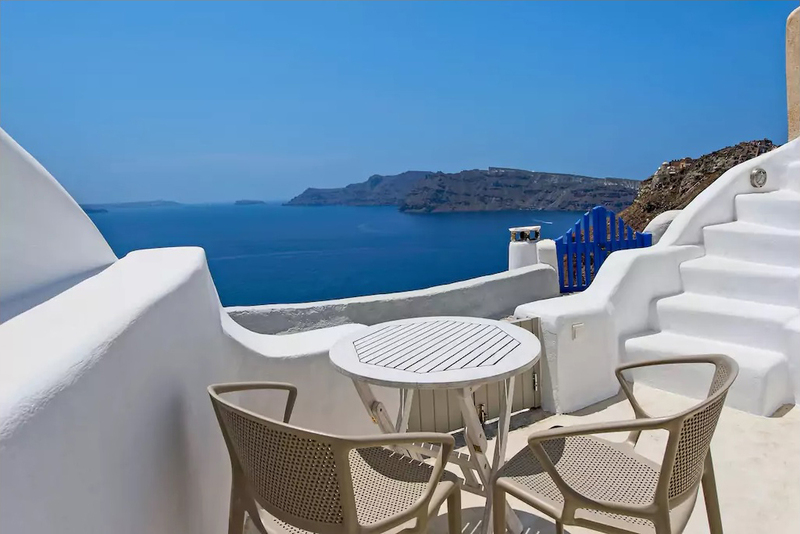 The outdoors is characterized from verandas which are placed stepwise onto the façade. 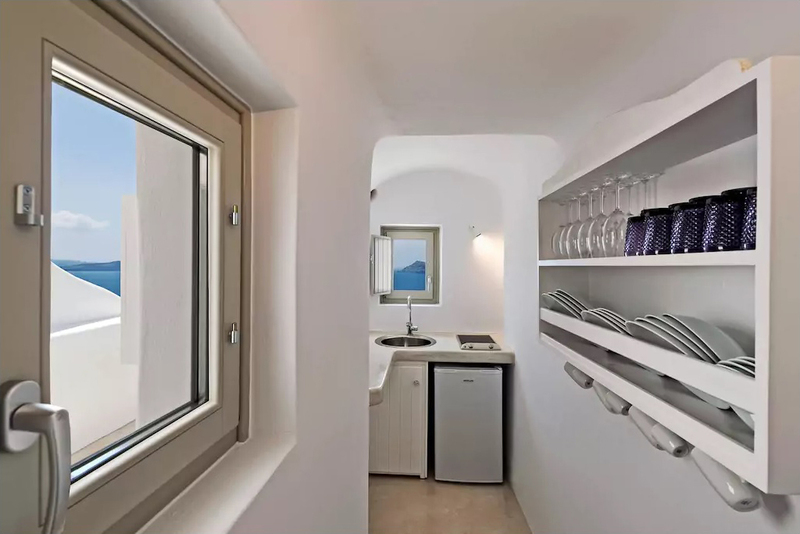 Its dimensions are tiny but they manage to include modern functions like a Jacuzzi, keep aligned with the local architecture and expose the guests into the whole volcanic scenery of Caldera.